Some say the off season is the best time of year. While many people enjoy visiting the wineries during the busy summer and autumn season, winter is the best time to find owners, winemakers and vineyard managers in the tasting room. At only $12 plus tax, the Polar Passport gives residents and visitors alike a convenient and affordable way to enjoy many of the wineries on the Seneca Lake Wine Trail. Did you say Free Wine Flights? Visit any of the 20+ participating wineries listed on the Polar Passport and receive a free flight of wines at each winery. The Polar Passport is valid only at the participating wineries. This is a terrific, affordable product for visitors and residents alike, since tasting fees generally run from $2-4 per winery. The Passport is valid from Dec. 6 to March 31, 2013. Enjoy free flights of wine at over 20 wineries for only $12! Wait, My Finger Lakes Bed and Breakfast can provide a Designated Driver? That’s right! The Halsey House provides Finger Lakes Wine Tasting Tours. We’ve teamed up with local limousine and touring companies to offer you tours tailored to fit your needs. Go wine tasting on the Cayuga Wine Trail, Seneca Lake Wine Trail and the Keuka Lake Wine Trail with your own personal designated driver! Bring friends or take a family trip along on a wine tasting weekend and share the costs as well as the fun. Call us at 607-387-5428 for more details. How about some art and culture along with your wine? Bounce over to Cayuga Lake and the Sheldrake Point Vineyard, where work from artists Emily Gibbons & David Beale will be on display. The reception is December 1st from 3-6 p.m. The exhibit will be on display until January 15th. Then, take in the still and quiet scenery of the Finger Lakes at winter as you head back to your cozy bed and breakfast for a good night’s sleep. Yes, the Finger Lakes wine tours are both popular and wonderful, but how about a chocolate tour for a change of pace? There’s still time to experience a chocolate tour at our local chocolatier, Life’s So Sweet. The tours began in May and will continue through the end of October. Offered Thursday through Saturday, at 1 and 3 p.m., the tours of the chocolate factory include samples and a knowledgeable guide sharing information about the facts and history of chocolate. The inviting smell alone is worth the trip! The dream made reality by Darlynne Overbaugh, Life’s So Sweet crafts artisan chocolates right here in Trumansburg, NY. Darlynne and her family have been creating candies and chocolate recipes for over 20 years. Stop by the store in Trumansburg Mon-Sat 10 am – 6pm and Sunday 12-5 pm. Classic chocolates are available as well as unique confections such as balsamic vinegar truffles and chocolate-dipped dried kiwi. There’s a tremendous variety available…you can visit their website at LifesSoSweet.com to get an idea of their offerings. The photos of hand-crafted chocolates and treats will tempt you to go in for a visit. Their chocolates are available throughout the Finger Lakes region. In addition, they look for fairly traded chocolate sources and those which do not use child labor. $5.00 per adult and $2.50 for children 18 and under. See the Finger Lakes region in a whole new way with a balloon ride offered by Liberty Balloon Company! Photo by Renee Zegarelli courtesy of Liberty Balloon Co. 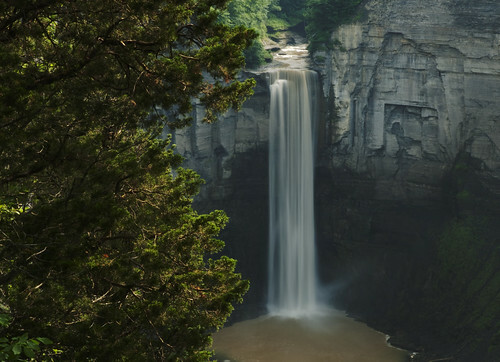 Upstate New York’s Finger Lakes region is well-known for its natural beauty. Many people come here to experience the tranquil setting of our countryside and waters. 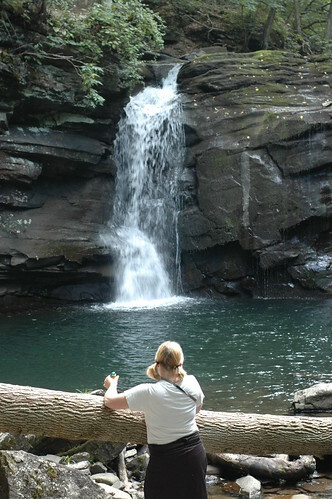 Outdoor activities such as hiking, kayaking and boating are favorite ways for seeing the Finger Lakes, Finger Lakes National Forest, and the many waterfalls which grace this area. If you’ve come to New York’s Finger Lakes before, or you’re thinking about visiting for the first time, we also recommend an entirely different way to see this beautiful place… by hot air balloon! The Liberty Balloon Company gives you a whole new perspective on the Finger Lakes. Each flight is about an hour and a half depending on location, wind, weather and other factors. Before each flight, passengers are briefed on what to expect. With the briefing, take off, flight, landing, post flight pack up and celebration, plus the drive back, the total experience takes between 3 and 4 hours. And what an experience it is! Everyone aboard gets fantastic panoramic views. Especially during this time of year, you can see the tree tops in full fall color bordering the deep blue lakes and the curving horizon. Moving at a slow and peaceful pace up to 2,000 or 3,000 feet up, there’s no comparison to the view. As you slowly descend, the basket skims the tree tops — a truly unique way to experience the Finger Lakes autumn colors! Both sunrise and sunset flights are available. The season comes to a close at the end of October and reopens in May. Although the company is based out of Rochester, NY, they have launch sites throughout Upstate New York including several around the Finger Lakes. In addition to balloon rides for groups, families, weddings and other celebrations, Liberty Balloon also offers gift certificates and services for corporate and educational events. During your stay at our luxury Finger Lakes B&B, we will be happy to make the arrangements for you to experience a hot air balloon ride with Liberty Balloon. For more information and Frequently Asked Questions about their balloon packages, events, and programs, visit LibertyBalloon.com. Celebrate the agriculture, viticulture and culinary riches of the Finger Lakes region at the Finger Lakes Cork & Fork. This is a great opportunity to sample and buy fine locally produced food and wine. There will also be cooking demonstrations and educational seminars including expert food and wine pairing advice. As an added bonus, one lucky event goer will have a chance to win the Epicurean Experience Giveaway, a prize package worth over $1,000! Experience Great Food, Wine and Friends during your stay in Trumansburg. 6:00 pm to 8:00 pm ~ Dishing with the Chefs: Tapas made with local ingredients will be paired with a great Finger Lakes wine. Chefs will work with a local vintner and food producer and attendees will get to taste and talk with the chefs and wine/food partners. 8:00 pm to 9:00 pm – After Dinner Dance: Dance and network while enjoying live music. 11:00am to 5:00pm ~ Finger Lakes Cork & Fork Exhibition: Come to the Main Exhibition Hall and meet area food producers, restauranteurs and local winemakers. This is a great opportunity to taste and buy exhibitors’ wares. 11:30 am to 4:30 pm ~ Cooking Demos/Seminars: Watch and learn how to make a dish using fine local foods at the Cooking Demonstrations. The chefs preparing the dishes will also be available to take your questions. Educational Seminars will cover wine tasting, food preservation and gardening topics. 5:00 pm ~ Closing: The 2012 Cork & Fork ends with the announcement of the Epicurean Experience Giveaway winner. If you love good food and wine, you won’t want to miss the Finger Lakes Cork & Fork in Seneca Falls. There’s still plenty of time to buy your tickets and book your luxury Finger Lakes lodging at the Halsey House.